Purchasing a secondhand iDevice is always cheaper than getting a new device. If you are currently on a tight budget, getting a secondhand iPhone or iPad may be appealing to you. 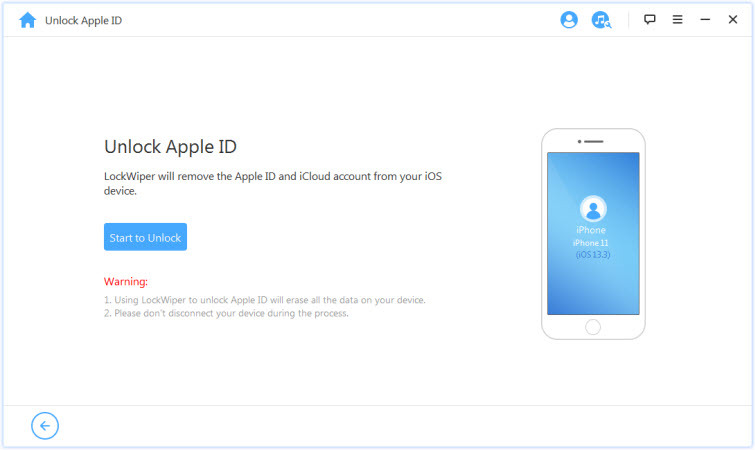 After getting the device, you may realize that it's linked to an iCloud account. Without password, removing iCloud account may seem impossible. If you can contact the original device owner, you can request for the device iCloud account and password from him/her. However, what if you cannot contact the original owner? Does this mean that you won’t be able to use your device fully? It is possible to remove previous iCloud account without password. This article will focus on showing you how to make it. To remove the previous iCloud account from iPhone/iPad without password, you will need a tool known as iMyFone LockWiper. LockWiper makes the removal of iCloud account effortless. It is extremely easy to use. You do not need any technical knowledge to use it. The tool is extremely quick. It will remove the iCloud lock within a few minutes. In addition to helping you remove the previous iCloud account without an Apple ID and password, LockWiper helps you remove the screen lock without a passcode. iCloud account, Apple ID or Find My iPhone lock will be removed from iPhone without password. You don’t need any information about the previous iCloud account. After removal, you will be able to switch to a different account and enjoy all features. You will keep the previous device owner from monitoring your device usage or blocking you from using the device remotely. Step 1: Install LockWiper on your computer and launch it. Connect your iPhone whose activation lock you wish to remove. Trust the connection if you are connecting the device to the PC for the first time. Step 2: Select the Unlock Apple ID mode on LockWiper. Tap Start to Unlock to initiate the unlock process. 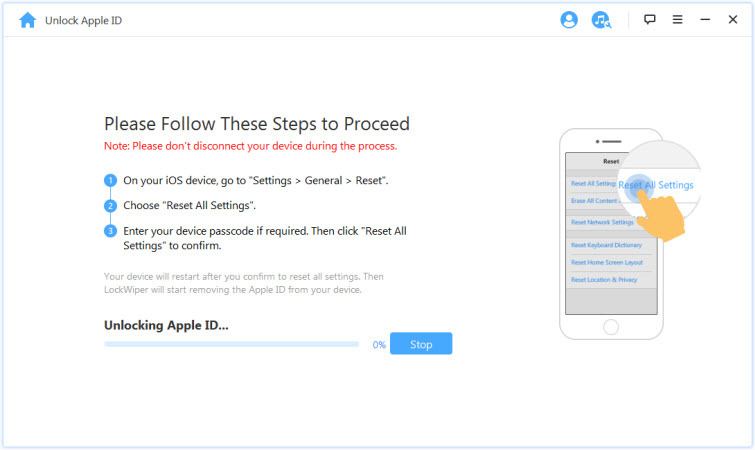 Step 3: You will need to reset all settings on your iDevice first. After resetting all the settings, LockWiper will remove the activation lock. After the iCloud account has been removed, you can use a different Apple ID to activate the device. Can You Remove Previous iCloud Account by Jailbreaking? On the internet, you may come across articles which tell you that it is possible to remove iCloud account by jailbreaking the device. This is not the case. While jailbreaking an iOS device can allow you to tweak/customize some functionalities on your iDevice, it is incapable of turning off the Find My iPhone and removing iCloud lock. Jailbreaking an iDevice in an attempt to remove iCloud will turn out to be a waste of your time. If the icloud lock is keeping you from using your iPhone fully, you can use iMyFone LockWiper to remove it. LockWiper will help you make it without password. LockWiper is not complicated to use. Even if you have never used it before, you will just need to follow the onscreen instructions to remove the activation lock within a few minutes.